Like a work of art, an oriental rug can be used to decorate and bring character into a living space. Also like art, different rugs have different meanings and stylistic designs that work better in certain spaces. What makes a Rug Special? A good oriental rug has history and culture behind its creation that makes the rug special. This history and culture sets the rug apart from other factory-made rugs that consumers purchase simply to cover the floor. The history of a rug plays a part in its current purpose, and this history can give a seemingly ordinary oriental rug a unique and special meaning. There are three very special rugs used for spiritual and cleansing purposes called: prayer rugs, Saphs, and Enessi or Ensi. Prayer rugs are a piece of woven fabric used by Muslims during their prayer and worship to ensure cleanliness during the ritual. The prayer rug acts as a clean barrier between the worshiper and the ground throughout the prayer. The rug’s design is asymmetrical as the front portion of the rug where the worshipper places his or her head resembles a triangle point that must face towards Mecca. A Saph is a term that applies to a prayer rug with two or more separate designs, designating more than one prayer field. The Saph is also referred to as a family prayer rug as Muslim families pray together in the same area at the same time. An Enessi or Enssi is used to represent a doorway or curtain to a tent of a Turkoman family. This type of rug is also referred to as a hatchli, which also means a doorway or partition for a tent. This rug is a rather small, square rug typically with a cruciform design. No matter what type of rug you are in the market for, knowing the history and culture of the rug you purchase can add a unique conversation starter in your home. 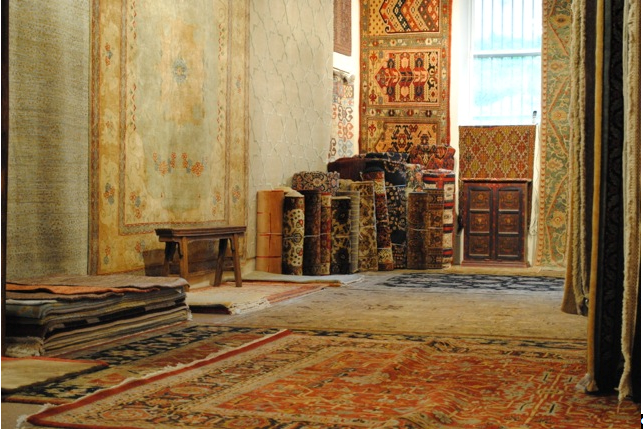 For more information about buying Oriental rugs, visit our homepage!